This performance will take place in the Lobby. 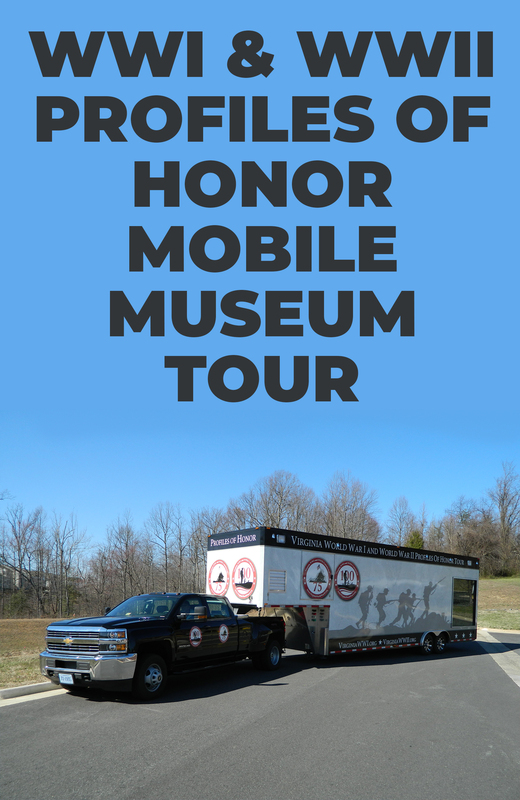 History is on the move as the World War I and World War II Profiles of Honor Mobile Museum travels to Zeiders American Dream Theater. The museum, free and open to the public, features stories and artifacts from dozens of Virginians who served in the wars. The tour is part of a statewide commemoration marking the 100th anniversary of World War I and the 75th anniversary of World War II. Not only can people come into the unit and learn about Virginians’ roles in both world conflicts, they can also bring personal artifacts related to the wars (photographs, letters, official documents) that can be scanned and made part of the Virginia Archives. PLEASE NOTE: The mobile museum IS handicap accessible.